Some problems with vision can be a natural part of growing older. Because many of the eye problems or diseases that occur with advancing age do not have noticeable symptoms or pain, early diagnosis and treatment are key to preventing serious damage and blindness. Those at increased risk of these conditions should be regularly screened for eye problems. A study in the February 16, 2000, issue of JAMA reports that it may not be cost-effective to screen patients every year with type 2 diabetes who have not had an eye disease associated with diabetes that could lead to blindness. The authors suggest that it may be better to tailor the frequency of eye screening to the needs of individual patients. Have your primary care doctor include an eye examination with each checkup to look for the eye signs of diseases such as diabetes, which can cause eye problems if not treated. 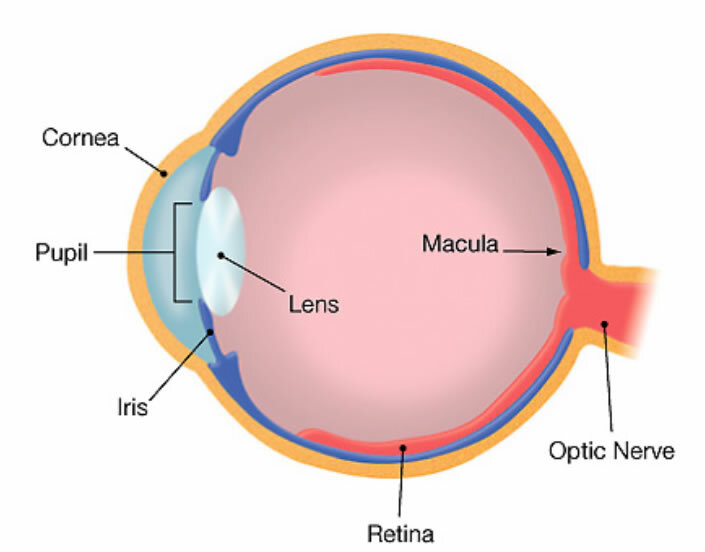 For people between the ages of 20 and 39, have an eye examination at least once during that period (including an examination of the retina that requires dilating the pupils) with an “Eye MD” (ophthalmologist, a medical doctor specializing in the eye). For people 40 to 64 years old, get examined by an ophthalmologist every two years. For people 65 years and older, get examined by an ophthalmologist every year. If you have a family history of eye disease or have diabetes, get a dilated pupil eye exam every year by an ophthalmologist or as often as the ophthalmologist recommends. For people of African descent, who are at greater risk for vision loss from glaucoma, get examined every three years between the ages of 20 to 39 years old, and follow the recommendations above after that. Review your complete medical history. Measure the visual acuity (how sharp your vision is) and consider the possible need for eyeglasses; evaluate the eye muscle coordination, pupil response to light, peripheral or side vision, fluid pressure in the eye, and the intraocular structure (inside the eyeball). Eye drops are often used to dilate the pupils for a complete examination. To find this and other JAMA Patient Pages, go to the Patient Page link on JAMA‘s Web site at www.jama.com. Many are available in English and Spanish. The JAMA Patient Page is a public service of JAMA. The information and recommendations appearing on this page are appropriate in most instances, but they are not a substitute for medical diagnosis. For specific information concerning your personal medical condition, JAMA suggests that you consult your physician. This page may be photocopied noncommercially by physicians and other health care professionals to share with patients. Any other print or online reproduction is subject to AMA approval. To purchase bulk reprints, call (718) 946-7424.